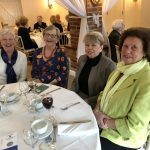 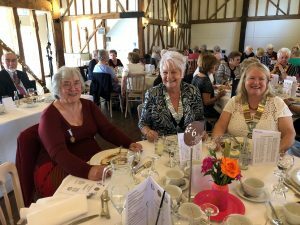 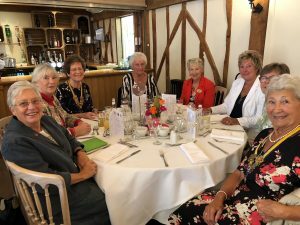 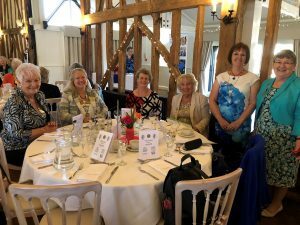 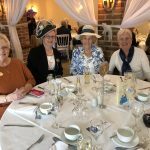 Members of District 24 joined District Chairman, Gill Swanson, at the delightful venue of Little Channels where an enjoyable lunch was enjoyed, followed by a fascinating talk by milliner Pam McCarthy. 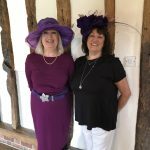 Pam talked about her journey to become a milliner, the origin of he expression “mad as a hatter” and how best to wear a hat. 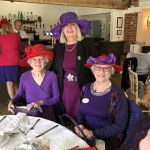 Pam also brought along a selection of hats for members to try on, although number of ladies had attended the lunch wearing their own hats and all looked very glamorous. 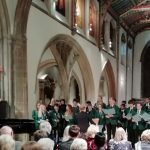 The joint Rotary District 1240 and Inner Wheel District 24 Christmas concert took place at Chelmsford Cathedral on Monday 17th December. 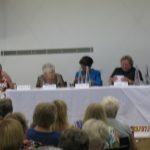 The event was well supported and the audience got into the festive spirit singing Christmas Carols. 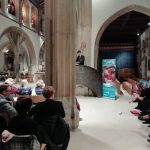 They enjoyed listening to choirs from Southend High School for Boys, Southend High School for Girls Novem Consort choir, Harmony Ladies Choir as well as readings by the Rotary Youth Speaks team and recitals from Rotary Young Musicians. 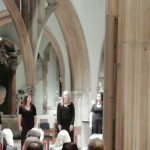 All funds raised from the concert will be shared equally between the Essex and Herts Air Ambulance and Hearing Dogs for Deaf People. 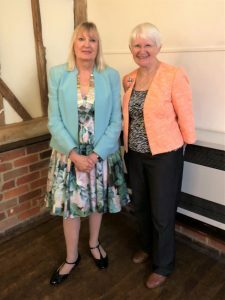 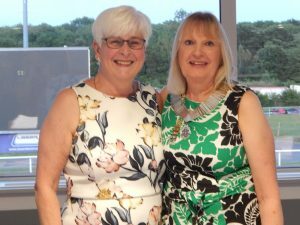 Association District Chairman, Ann Acaster, joined District 24 Chairman, Gill Swanson, for the annual rally held at Channels in October. 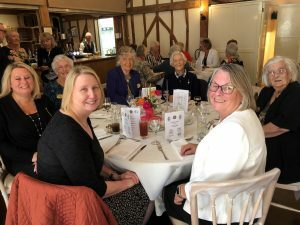 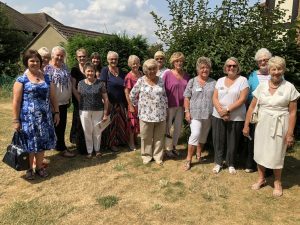 Inner Wheel members enjoyed a delicious lunch, followed by a talk from Ann Acaster about her role as a member of Inner Wheel and she spoke of her chosen charity, Jessie’ Fund, which helps children with complex needs to communicate through music therapy. 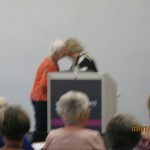 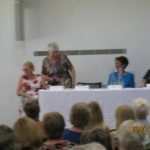 Gill Swanson (right) presenting Ann Acaster with gifts. 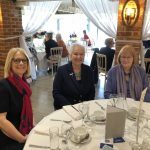 Association Officers Anthea and Shamim and our Member of Council Jane receiving their badges. 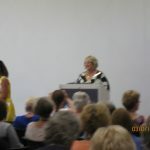 District Chairman, Gill Swanson, presents Betty Roberts and Eileen French with their badges. 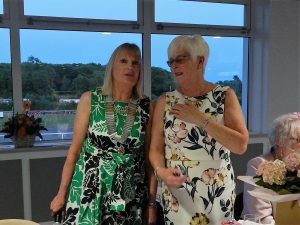 The 44th Annual General Meeting was held at Chelmsford Race Course on 14th June. 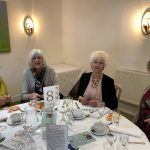 We enjoyed dinner in great surroundings before the business began. 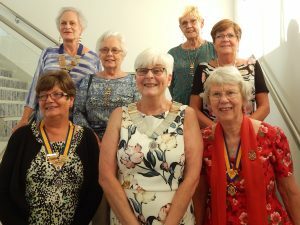 Photos show the District Executive and some Club Presidents. 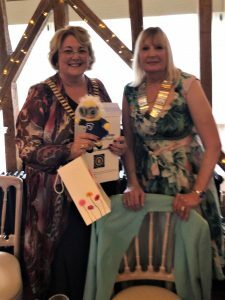 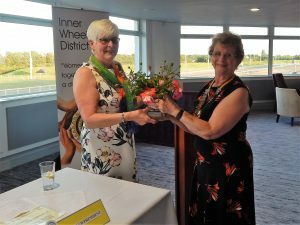 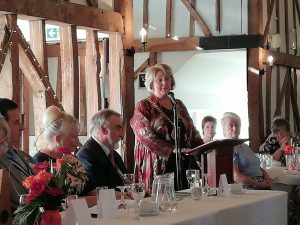 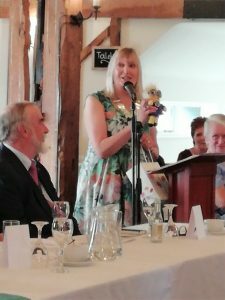 During the meeting the District Fellowship trophy was presented to the Inner Wheel Club of Braintree and Bocking and received by President Pam Byford. 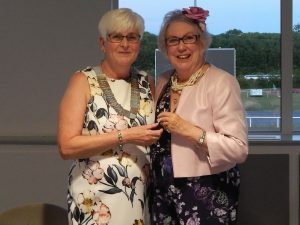 District Chairman Celia presented incoming District Chairman Gill Swanson with the District Chairman's Jewel. 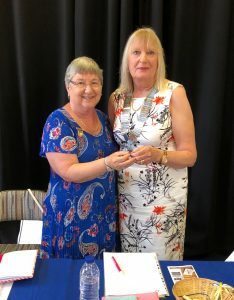 District Chairman Gill then presented Immediate Past District Chairman Celia with her Past District Chairman's badge. 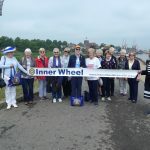 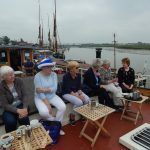 Inner Wheel District 24 held a walk along Maldon Prom on Friday 25th May during Children’s Hospice week in order to raise awareness of Children’s Hospices and in particular Little Havens Hospice. 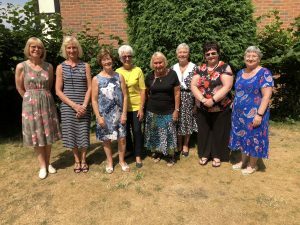 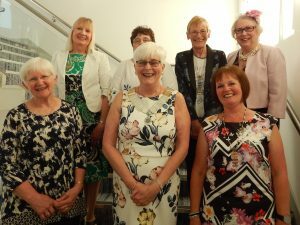 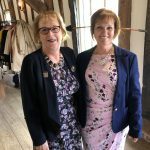 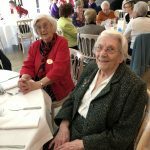 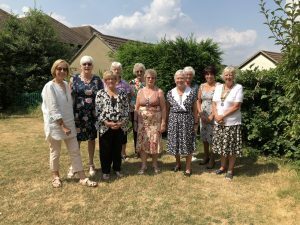 The Association of Inner Wheel Clubs in GB&I has chosen Children’s Hospices as it’s Charity of the year and Inner Wheel District 24 are supporting Little Havens Hospice. 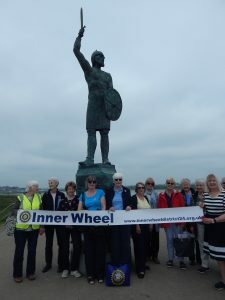 We enjoyed a gentle stroll from the Beacon, next to the fountains along to the statue of Byrhtnoth. 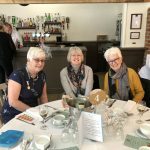 The weather was kind as we walked enjoying our surroundings and chatting to anyone that was interested about Little Havens Hospice. 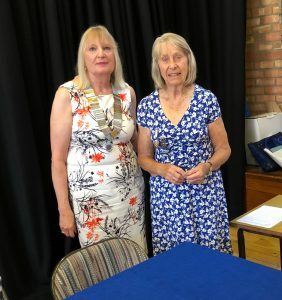 We were joined at the start by Little Haven’s Representative Liz. 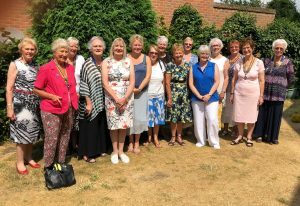 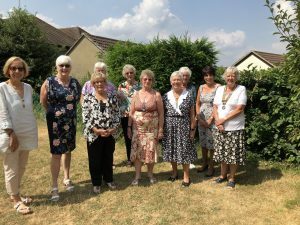 A Photograph showing Association President Liz Thomas along with District Chairman Celia Clark, Member of Council Jane Brown and members of the inner Wheel Club of Billericay on a visit to Lake Meadows, Billericay appeared on the front page of the Association of Inner Wheel Club’s webpage www.innerwheel.co.uk. 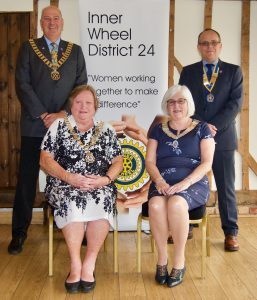 The Photograph showed a visit to Lake Meadows, Billericay to see the Inner Wheel forever Roses donated by District 24 members to the park.. 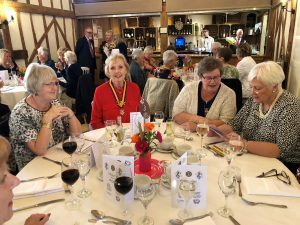 The District Rally took place on 4th October at Channels Golf Club. 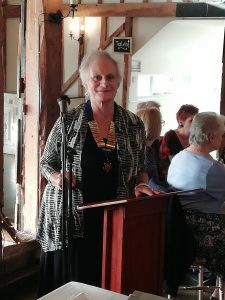 It was a delightful event attended by Association President Liz Thomas, Rotary District Governor Nick Sillitoe.